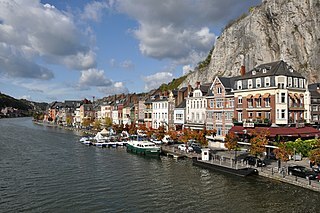 Hasselt is a Flemish city and municipality, and capital of the province of Limburg in Belgium. 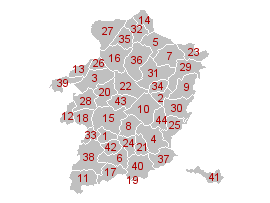 The Hasselt municipality includes the original city of Hasselt, plus the old communes of Sint-Lambrechts-Herk, Wimmertingen, Kermt, Spalbeek, Kuringen, Stokrooie, Stevoort and Runkst, as well as the hamlets and parishes of Kiewit, Godsheide and Rapertingen. The County of Loon was a province of the ancien regime Holy Roman Empire, which by 1190 came under the overlordship of the Prince-bishop of Liège. It lay north of Liège and west of the Maas river in present-day Flemish-speaking Belgium. Loon's first definite count was brother to a bishop of Liège, and over generations the county grew and then came under direct control of the bishops, as their largest Dutch-speaking secular lordship. Once it reached its maximum extent its territory corresponded closely to that of the current Belgian province of Limburg. Limburg was one of the provinces of the United Kingdom of the Netherlands and later Belgium. The province existed for the duration of the United Kingdom, from 1815 to 1830, and for the first years after the Belgian independence, from 1830 to 1839. When King William I signed the Treaty of London in 1839, the province was split into a Belgian, and a Dutch part, the new Duchy of Limburg. The Arrondissement of Tongeren is one of the three administrative arrondissements in the Province of Limburg, Belgium. It is both an administrative and a judicial arrondissement. However, the Judicial Arrondissement of Tongeren also comprises the municipalities of Bocholt, Bree, Kinrooi, Meeuwen-Gruitrode, Dilsen-Stokkem and Maaseik in the Arrondissement of Maaseik and the municipalities of As, Genk, Opglabbeek and Zutendaal in the Arrondissement of Hasselt. The Meuse–Rhine Euroregion is a Euroregion created in 1976, with judicial status achieved in 1991. It comprises 11.000 km² and has around 3.9 million inhabitants around the city-corridor of Aachen–Maastricht–Hasselt–Liège. 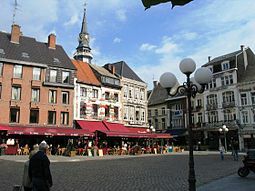 The seat of the region has been in Eupen, Belgium since 1 January 2007. Within a wider context, the region is part of what is called the Blue Banana European urbanisation corridor.